LOS ANGELES, 16 February 2019 — at tonights 55th Annual CAS Awards: Bradley Cooper along with Production Sound Mixer Ron Judkins, and re-recording mixers Andy Nelson and Gary Rydstrom presented the Filmmaker of the year awards to Producer/Writer/Director Steven Spielberg. To watch other presentations from the evening and to view event photos Click Here. LOS ANGELES, 4 October 2018 — Multi-hyphenate Steven Spielberg will receive the Cinema Audio Society Filmmaker Award at the 55th Annual CAS Awards on February 16th, at the Intercontinental Los Angeles Downtown. Steven Spielberg is one of the industry’s most successful and influential filmmakers who has directed, produced, or executive produced some of the top-grossing films of all time, including “Jaws,” “E.T. The Extra-Terrestrial,” and “Jurassic Park”. Among his myriad honors, he is a three-time Academy Award® winner, earning two Oscars® for Best Director and Best Picture for “Schindler’s List,” and a third Oscar® for Best Director for “Saving Private Ryan.” He is a recipient of the DGA’s Lifetime Achievement Award, the American Film Institute’s Lifetime Achievement Award, the prestigious Irving G. Thalberg Award from the Academy of Motion Picture Arts and Sciences, and a Kennedy Center Honor. In 2012, Spielberg directed Academy Award winner Daniel Day-Lewis in “Lincoln,” based in part on Doris Kearns Goodwin’s “Team of Rivals,” with a screenplay by Tony Kushner. The film won two Oscars, including Daniel Day-Lewis’ third Oscar for Best Actor playing the iconic 16th President, as well as Best Production Design. Spielberg’s 2015 dramatic thriller “Bridge of Spies,” starring Tom Hanks received six Academy Award® nominations including Best Picture with Mark Rylance winning for Best Supporting Actor. He was also an executive producer on “Jurassic World” and “Jurassic World: Fallen Kingdom” which together have earned over $2.8 billion worldwide. His most recent projects include “The Post,” a political drama inspired by the Washington Post’s first female publisher, Katharine Graham (Meryl Streep), and its driven editor, Ben Bradlee (Tom Hanks) which Won the AFI Award and garnered two Oscar® nominations: Best Picture and Best Actress for Streep and “Ready Player One” a worldwide success based on the popular science-fiction novel by Ernest Cline. Apart from his filmmaking work, Spielberg has also devoted his time and resources to many philanthropic causes. He established The Righteous Persons Foundation using all his profits from “Schindler’s List.” He also founded the Survivors of the Shoah Visual History Foundation, which in 2006 became the USC Shoah Foundation – The Institute for Visual History and Education. Spielberg will be the 14th CAS Filmmaker Honoree. Past honorees have been: Joe Wright, Jon Favreau, Jay Roach, Richard Linklater, Edward Zwick, Jonathan Demme, Rob Marshall, Taylor Hackford, Henry Selick, Paul Mazursky, Bill Condon, Gil Cates, and Quentin Tarantino. 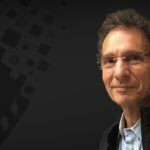 Also, being honored that evening with the CAS Career Achievement Award is previously announced honoree Production Sound Mixer, Lee Orloff, CAS. During the awards ceremony, the CAS will also present the CAS Student Recognition Award to one of five student finalists. 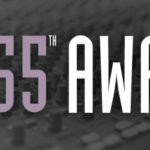 The 55th CAS Awards will honor Outstanding Achievements in Sound Mixing in seven categories: Motion Pictures, Animated Motion Pictures, Documentary Motion Pictures, Television Movie or Limited Series, Television Series-One Hour, Television Series-Half Hour and Television-Non-Fiction, Variety, Music Series or Specials. To attend and/or cover these awards, pitch presenters or donate items for the attendee gift bag and/or the special Student Finalist Gift bags please contact Dorothea Sargent at [email protected] or call 818-786-4744 or 310-779-6848.